The TomTom Multi-Sport GPS Watch is the company’s first solo venture into the market of wearable sports devices. This new device allows runners, walkers, cyclists and even swimmers to track their workouts, plot training routes, and view progress. The TomTom Multi-Sport GPS watch, available in both grey and hot pink, has an exceedingly large high resolution LCD screen, that overcomes the difficulties of viewing in sunlight, lowlight, or in the pool. The chunky size allows for easy use and tracking of your progress mid-workout. Despite being abnormally large for a watch, the TomTom Multi-Sport GPS Watch only weighs 50g, causing little disturbance to the avid trainer. Unlike many other sports tracking gadgets that incorporate a touch screen interface, the TomTom Multi-Sport GPS Watch has a one button control panel, a feature that earns its keep when your hands are dripping of sweat during a workout. The TomTom Multi-Sport GPS Watch is modular, so it can be popped out of the band and then strapped to a bike using the bike mount provided in the Multi-Sport version. The battery life lasts for up to 10 hours of continuous GPS tracking, and can be simply recharged through the USB charging stand included with the purchase of the TomTom Multi-Sport Watch. 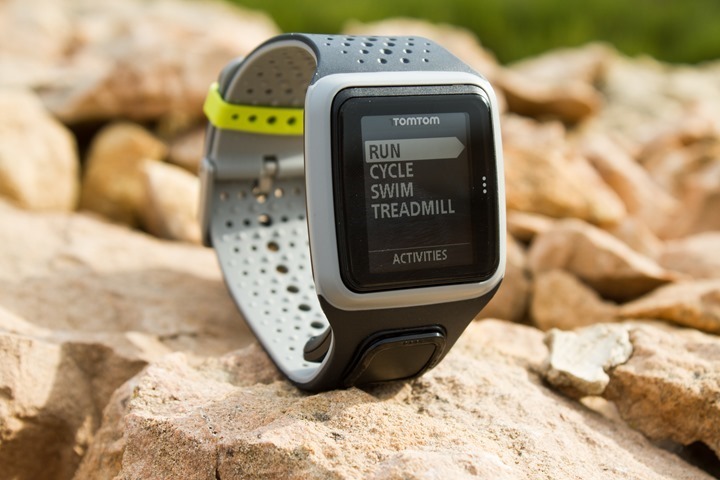 Unlike many other GPS sports tracking devices, the TomTom Multi-Sport GPS Watch works both indoors and outdoors due to its three-axis accelerometer, a feature highly sought after by runners and swimmers. Whether you are a runner, a swimmer, or a cyclist, you have the ability to format your TomTom Multi-Sport GPS Watch to suit your specific needs and requirements. So specific in fact that you can set the length of the pool and adjust the size of the wheel on your bicycle. You can even structure a workout to achieve a specific target through ‘Goal Mode’ e.g. duration, calories burnt or distance. The watch stores data about your previous workouts so you can track and compare your progress on the spot. All other important data is synced through the TomTom MySports website, including workout summaries, routes taken, goals achieved and workout trends. 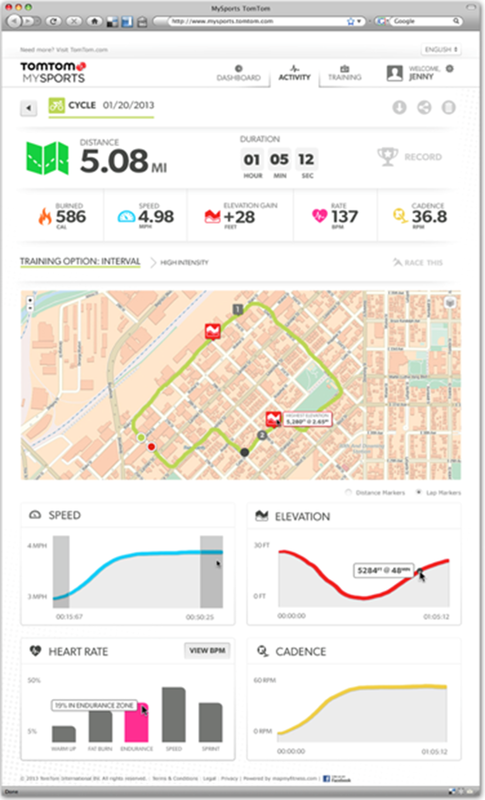 TomTom also recently released a Multi-Sports app for both Apple and Android devices, allowing users to sync their workout information via a smartphone. The TomTom Multi-Sport GPS Watch currently sells for around US$220-250 depending on retail outlets. However, this only covers the basics including the watch itself, bike mount and swim sensor. For the full experience, including the heart rate monitor, altimeter, run tracker, as well as speed sensors, you will need to fork out at least another US$100. 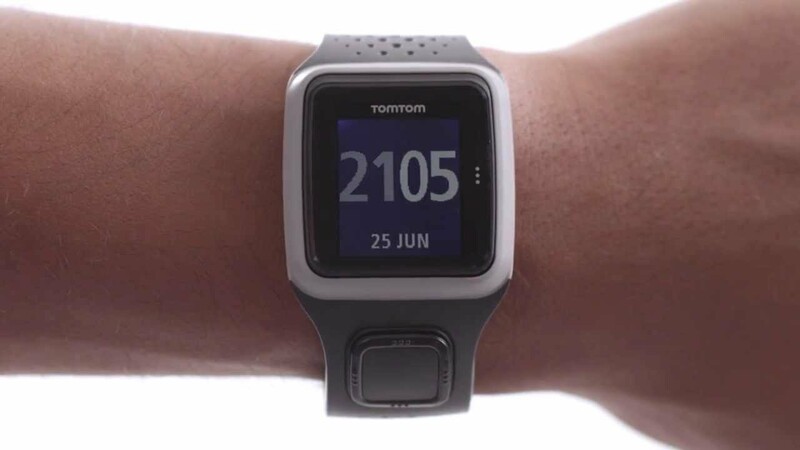 Whilst TomTom Multi-Sport may not receive the same hype and publicity as the Nike + and other competitors, it outdoes its rivals through its catering for the swimmers and cyclists previously starved of a purpose built tracking device. 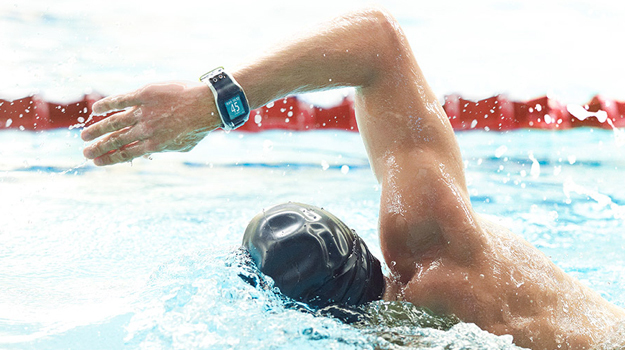 The TomTom Multi-Sport GPS Watch is a suitable solution for the casual trainer right up to the dedicated triathlete. Overall the device is easy to use, comfortable to wear during exercise and provides all the standard functions and data retrieval required in a sports tracking device. Know a product we should review? Let us know below in the comment section!